We’d love your help. Let us know what’s wrong with this preview of IHood by Jill Little. To ask other readers questions about IHood, please sign up. 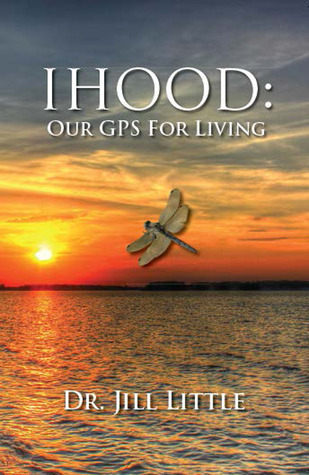 IHood: Our GPS for Living is an inspirational read and potential life changer that is part memoir - part guidebook on living a purpose driven life. In it, Dr. Little discusses the how to's and benefits of reconnecting with past choices and circumstances to channel self-awareness and to facilitate the Spirit's dominance over one's choices. It will help anyone who questions their place in this life, and who needs guidance to improve their lives over all. Truly inspirational! Jill Little passed away in March, 2012. Up until her death, she focused on serving as an instrument of love and peace wherever she went. She made fast friends among casual encounters. She was a sympathetic ear and a compassionate soul who actively served to share her insights on life, love, and spirituality. She pursued a PhD in education, and her teaching career was further enhanced by a hunger to discover the path to her higher self through self-awareness and living a purposeful life. She has always been an inspiration to those who love her, and to have known her is to love her. ␣is book is a testament to her wisdom, devotion to helping others, and generosity of spirit.